For this, I decided to go with M's favorite fairytale, Sleeping Beauty. 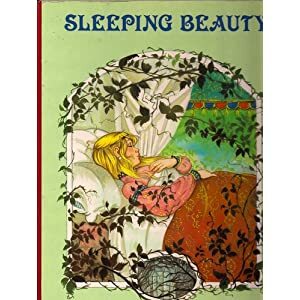 But instead of reading the book we read last week for the dragons theme, I chose a book from our shelf that tells an older version of the fairytale rather than the Disney version. It tells the tale of the baby princess on whom the evil fairy places a curse that she will prick her finger on her 15th birthday and fall asleep for 100 years. This comes to pass and many years later, a prince kisses her and she awakens. They, of course, live happily ever after. It's definitely different than the Disney version, and this fascinated M quite a bit. 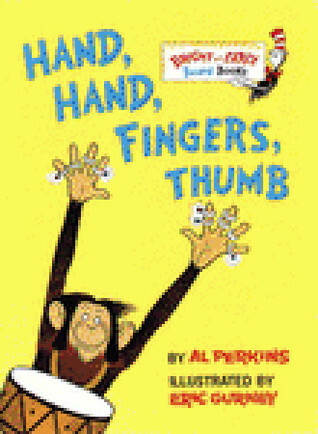 I had to choose one of my favorite books from my childhood for the monkey theme: Hand, Hand, Fingers, Thumb. I just love this book and love sharing it with my kids. M read most of it with a little help, but I have to say I personally love to read it aloud myself. It's such a fun book with great rhythm! 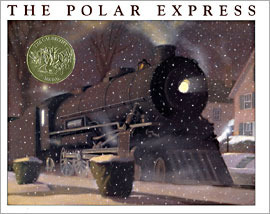 We read The Polar Express last week, which I think qualifies as a travel book for kids! In the story, the little boy and several other kids hop aboard the train and travel to the North Pole, where they meet Santa and all his elves. The little boy is chosen as the recipient of the first Christmas gift of the year and he chooses a bell from Santa's sleigh. It's a wonderful story about believing in Santa and the kids really enjoyed it. I have to say I like the book much more than the movie. 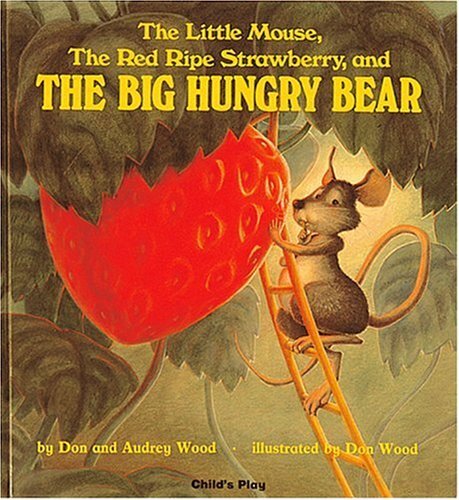 For food, I chose The Little Mouse, the Red Ripe Strawberry and the Big Hungry Bear, which is a very cute story of a mouse who has a huge strawberry. But when the narrator tells him that there's a big hungry bear who loves strawberries and is going to come for his, the mouse tries to hide it. He locks it up and puts a disguise on it, but the narrator says the only way he can really keep it from the bear is to share it with him! It's a very cute story, although I would say the narrator is a bit selfish, but M really likes it. On Thanksgiving evening, we read a few holiday books, including How the Grinch Stole Christmas. We just recently bought this book. I'm surprised we didn't have it already. It's basically the same as the show we see on TV each year, with a few things missing that had been added into the show. 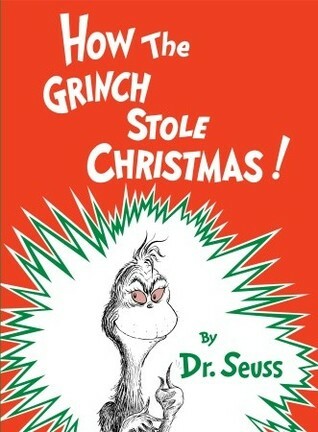 It's classic Dr. Seuss wording and rhythm, and a great story about the mean Grinch stealing all the stuff that seems to represent Christmas, including all the gifts, decorations and food. But in the end the Whos in Whooville enjoy their Christmas and the Grinch has a change of heart. 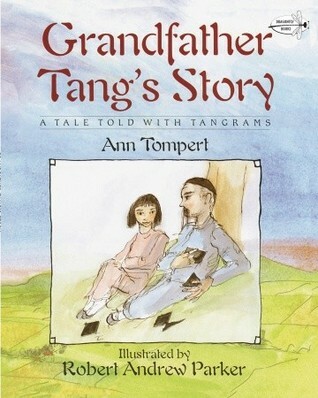 For friendship, we read Grandfather Tang's Story. You're supposed to play along with tangrams to make the pictures from the story, but unfortunately, we lost one of the pieces of our tangrams set, so we couldn't do that. (I did buy some for Christmas though, so we'll be able to next time.) Anyway, this is the story, told by a grandfather to his granddaughter, about two foxes who change themselves into all sorts of other animals, with one always chasing and trying to eat the other. It's actually a good story of friendship in the end, so I thought it worked well for this theme. For the zoo theme, we chose Put Me in the Zoo. This one is about a Dr. Seuss-like creature who wants to live in the zoo. He has spots all over him that he can do all sorts of things with, including putting them on other things, juggling them and changing their colors. But in the end, he realizes he doesn't really belong in the zoo. He would be much more welcome somewhere else. We're now in the last few days of November, which means Picture Book Month is almost over. I'll share our last four books on Saturday. I'm also linking up to What My Child Is Reading and Book Sharing Monday. Visit both for more ideas on books to read with your kids. I like the idea of a theme for each day, and I absolutely love picture books. I'm a firm believer that if we read regularly to our children, they will grow up appreciating literature their entire lives! Lots of good ones this week, Julie. 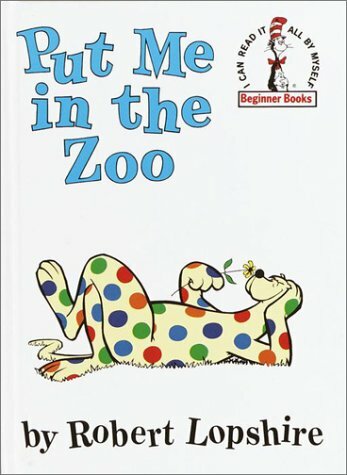 Put Me In the Zoo is one of our all-time favorites!! We used to have the strawberry one, too. And, of course, The Grinch is a classic! We still read it every year, even though the boys are teens now. Polar Express, too. I guess it's time to dig out our holiday book collection. I love that each day has a theme. I wish I could have found the time to participate this month but PTO has been keeping me very busy! Maybe next year if they have it again.